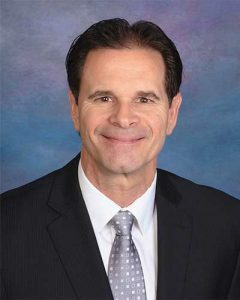 Brian P. Battaglia has been practicing law since 1986 and represents corporations, small businesses and individuals throughout the Tampa Bay area. Brian has represented clients in the Pinellas County Court, Hillsborough, Pasco and Pinellas Circuit Courts, the Second District Court of Appeal, the Florida Supreme Court, the United States District Court for the Middle District of Florida, as well as administrative and quasi-judicial forums. Brian P. Battaglia holds an AV Preeminent Rating from Martindale-Hubbell from 2011 to present and has handled complex litigation claims in state and federal court throughout his career. In 1995, Brian Battaglia became a Florida Supreme Court Certified County and Circuit Court Mediator, and has taught mediation and negotiation as an Adjunct Professor at Stetson University College of Law. In 2013, Brian became a Florida Supreme Court Certified Family Law Mediator. Brian received Certificates in Negotiating and Mediating Employment Disputes and in Family Mediation Training from the Conflict Resolution Collaborative, University of South Florida. Brian has also received a Certificate in Teaching Advocacy Skills from Stetson University College of Law.